Here on this blog I like to write about the perks of being a connected educator. I reveal a lot about my students and me as a teacher. However, and quite ironically, I hardly ever mention my colleagues - the people I meet and interact with on a daily basis. I feel I need to make up for my lack of gratitude and appreciation. If I were to picture my PLN, the final image would probably look like a cobweb. I guess it might also look like a river system or a neural network. 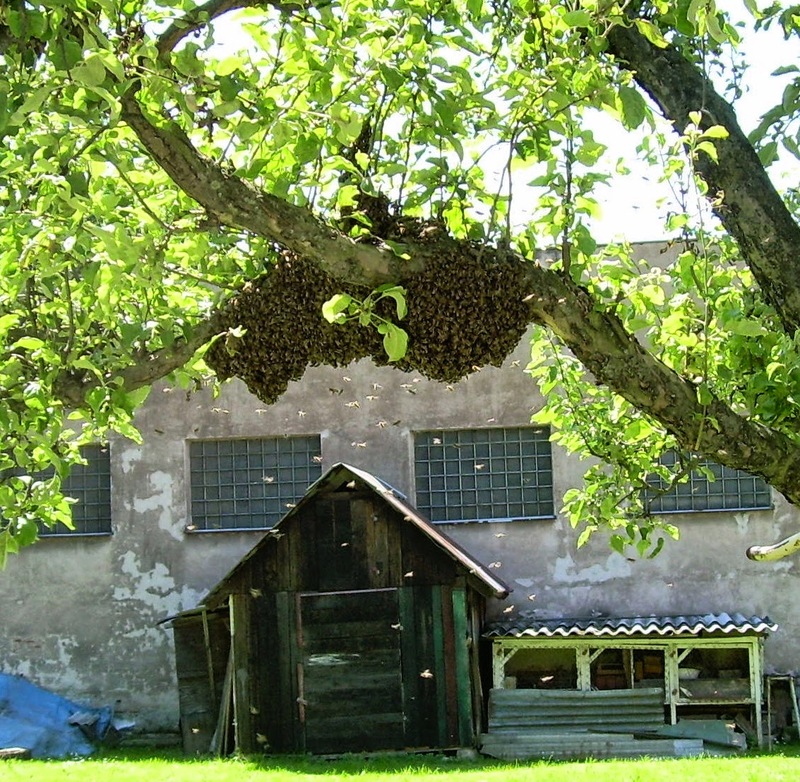 If I were asked to describe how I see my workplace, I would choose the anthill or the beehive metaphor. These are highly efficient, but enclosed structures. My online PLN, on the other hand, is more dynamic and flexible; it can grow or decrease in number any minute, I can choose who to connect and interact with, or I can be totally inactive just lurking and observing while still being connected. Obviously, the little creatures in an anthill are also very closely connected. Although they are in charge of small, seemingly unconnected jobs, the existence of the whole unit and each and every individual depends on how responsible and hardworking they all are. Their life seems chaotic at first sight. Yet, if you look closer, it's perfectly organized and meaningful. On Monday it was my first day at school. It was a so-called preparatory week during which teachers get things ready for the upcoming academic year. Desks and chairs are moved, classrooms are decorated, books are delivered, forms are filled in, lists are written down, etc. As a newly assigned class teacher and the newbie head of the English department I've got a lot of extra duties, most of which are completely new to me. In my previous blog post I talked about my fears concerning the future. I can happily conclude that some of the things I dreaded then are over now. And I can proudly claim that I did well. However, I fully realize that I managed because people were there for me. My male colleagues kindly helped me move furniture, other class teachers showed me how to fill in various forms, the janitor put up a new message board for me, the art teacher gave me some pictures so that I could do up my new classroom, the accountant printed out some important documents I needed to go through, another colleague demonstrated how to work with the internal electronic system for recording data, the technician checked my computer and made sure everything worked, and so on and so forth. In short, I could go and ask whenever I needed help. Everything went smoothly due to the fact that everybody had a specific set of tasks and acted swiftly. I had a wonderful feeling of team spirit which was present everywhere I went. I felt like a tiny ant. It was this week when I realized that my colleagues are indispensable for me. My productivity (and thus my salary) is dependent on readiness of others; if someone tells me they are busy, no matter how urgent my demand is, the task I need to complete will have to be postponed. But I also need my PLN because there's one thing my PLN and my colleagues have in common - they are there for me ready to listen. The truth is, though, that my virtual friends sometimes understand better since they're far away from the epicentre of my trouble; they can see my problems from a more objective perspective, and this can be very helpful. Hence I believe it's a good idea to leave the anthill from time to time and get lost in the amazing network of like-minded people out there in the virtual space.